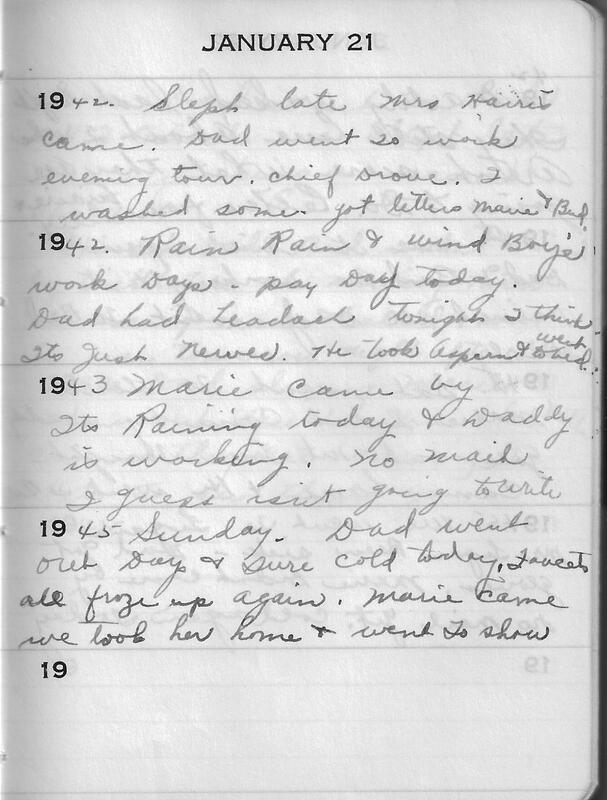 1942 – Slept late Mrs Harris came. Dad went To work evening tour. Chief Drove. I washed some. got letter Marie & Bud. 1943 –Rain Rain & wind Boy’s work Days. pay Day today. Dad had headach Tonight I think its just nerves. He took Aspirin & went to bed. In the 1944 entry she appears to be waiting for a letter from someone who she now guesses is not going to write. I wonder who that could be?